Loree Lough is an excellent writer and there was much to like about Maverik Heart, but it wasn’t Levee’s and Dan’s love story that most held my attention. I found the stories of the secondary characters in this book much more compelling and entertaining. Dan and Levee took far too long to get together and beyond their first few meetings I found their “romance” highly unromantic and spark-less. Levee was an interesting character and well written. I found myself agreeing with Dan that he didn’t really deserve her. I truly don’t know what Levee saw in Dan besides his masculine beauty, although I am quite aware of why Dan was taken with Levee. Another complaint I have — and not a small one — the couple never exchanges, “I love yous.” Levee did say she loved the house Dan built for her. Dan did say he wanted Levee. That isn’t the same. To me a romance novel totally falls flat with out exchanged I love yous. If you are already a Loree Lough fan you’ll likely find this isn’t one of your favorite Lough books. If you aren’t already a Loree Lough fan, please don’t let this be the first book you read of hers. She is an outstanding storyteller who has won many well-deserved awards. 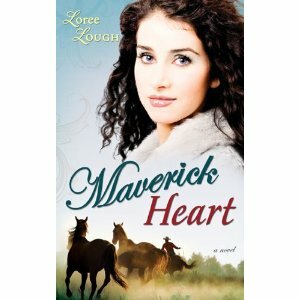 I truly hate having to write a less than sparkling review for Maverick Heart since I usually love Loree Lough books. Loree Lough is a well-known and beloved Christian romance writer who has published over 75 books, 65 short stories, and hundreds of magazine, newspaper, and Internet articles. A tireless advocate of the inspirational fiction genre, she’s recognized as a leader in the field and is a sought-after speaker at writing seminars and workshops. Loree is a regular contributor to a variety of publications for writers, a columnist for Christian Fiction Online Magazine and keeps in touch with readers through her website and blog, The Lough Down, Facebook, Twitter, MySpace and Shoutlife. That had been three days ago, but the memory of it still stung like the gritty, windblown Texas dust. Levee huddled in a corner of the stagecoach and prayed that her husband wouldn’t notice her tears. She’d never been the type to wallow in self-pity, but was it too much to ask her husband to show some warmth and compassion? As a doctor, he should have been able to acknowledge that her reaction to losing the baby was perfectly normal. Frowning, she tucked her lace-trimmed handkerchief back into her purse—a mistake, for Liam saw and correctly guessed that she’d been crying. Again. “You’ll never get over it if you don’t at least try to put it out of your mind,” he grumbled. The impatience and disappointment in his voice hurt almost as much as his earlier reprimand, and Levee heaved a sigh. Oh, if only she could put it out of her mind! Maybe he had a point. Maybe thirty-four days of grieving her lost baby had been enough. As one of the first women in the country to earn a nursing degree, Levee understood the mental and physical aftereffects of a miscarriage. But could melancholia explain why she felt her husband was too preoccupied about opening his new clinic in Mexico to mourn the loss of yet another baby? Amid the thunder of horses’ hooves and the report of gunfire, their fellow passenger, who’d introduced himself only as Mack, calmly unholstered two six-shooters. “You got a gun, doc?” he asked Liam as he peeked out through the leather window covering. Just as she opened her mouth to confess that she’d never so much as held a gun, one of the stagecoach drivers cut loose a bloodcurdling scream. Quick as a blink, his body hurtled past the window and hit the ground with a sickening thump. She heard Liam’s dry swallow. “I don’t know what that has to do with anything,” he muttered. His warning was cut short by male voices shouting and terrified horses trumpeting. Gears and brakes screeched as the coach came to a jolting halt. Then, a deadly hush rode in on a cloud of dust. The door nearest Levee flew open with a bang. “Throw them guns into the dirt,” growled a masked gunman. When Liam slid his revolver back into his doctor’s bag, Mack gave a slight nod, then tossed his own pistol out the door. Taking his other gun back from Levee, he uncocked it and flung it to the ground, too. Levee climbed down first, followed by Liam. So much for Mack coming up with a last-minute scheme to save us, she thought as he joined them in the shade of the coach. Their immediate obedience made it clear that this man was one to be reckoned with. Levee’s heart beat harder as his cohorts carried out his orders, but it wasn’t until the strongbox hit the ground with a loud clang that she noticed the other stagecoach driver, hanging like a half-empty flour sack over the armrest of his seat. She could almost hear Mack thinking, And now we’re down to three. Their only hope was the tiny pistol hidden in Liam’s bag. But even if by some miracle the cowboy managed to retrieve it, would it be enough to disarm all three thieves? 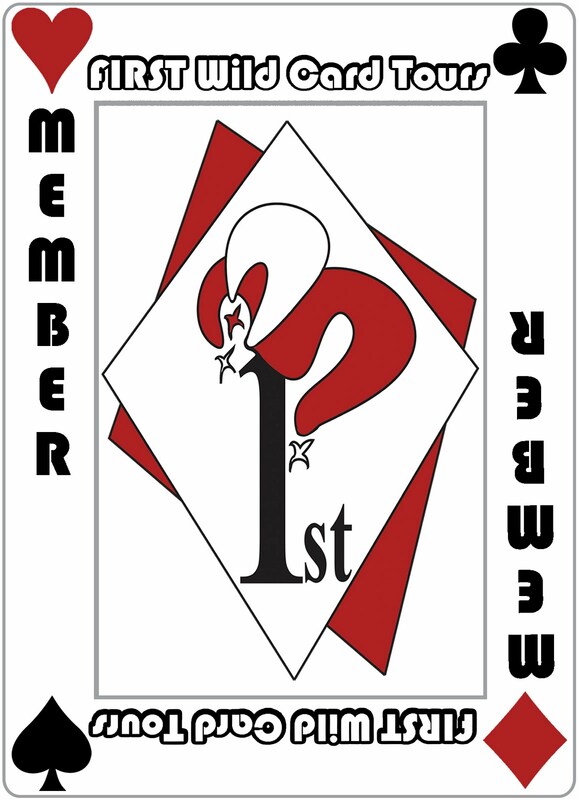 The Frank Michaels Gang? Why did that sound so familiar? Levee’s question was quickly extinguished by a sickening admission: in her twenty-two years of life, she’d never given a thought to how she might leave this earth. Until now. One shot rang out, and even before its echo fell silent, Liam slumped to the ground. “No-o-o!” Levee wailed, dropping to her knees. She cradled his head in her lap and, for the first time since graduating from the New England Hospital for Women, regretted her nursing degree. Because one look at the bloody wound in the middle of his chest told her that although he wasn’t dead yet, he soon would be. “All of you shut up,” Frank snarled. “There’s nothing to be sorry for, Liam. You’re going to be fine.” Oh, please, God, let it be true! “Just fine! Do you hear me?” No sooner had the words passed her lips than his body shuddered once, and the fingers that had been squeezing hers went limp. A dribble of blood trickled from the corner of his mouth to his chin. Then, one grating, ragged breath later, he was gone. Levee couldn’t help feeling guilty about her role in his death. These horrible men had murdered her husband, but if she hadn’t put her dream of a nursing degree ahead of their wedding plans, they would have had a house to call their own. If she hadn’t spent so many hours on her feet at the hospital, they would have had a child or two, instead of two unfruitful pregnancies to mourn. Perhaps, with a family to occupy his time and fill his heart, Liam wouldn’t have reacted with such enthusiasm to the article in the Boston Globe that spoke of the need for doctors in Mexico. Why had she let him talk her into this move? And why had she bowed to the dictates of society and the Good Book regarding wifely submission? If only she’d been stronger and less self-centered! His implied threat hung on the parched air as Levee looked into her husband’s ashy face. Almost from the moment they’d left Boston, Levee had been afraid. Afraid of ghastly-looking bugs and wild animals, afraid of the unrelenting wind and the dry, desolate land that seemed to stretch on forever. Afraid of the outlaws and bandits she’d read about. Distraught and anguished, she was beyond fear now. A swirl of self-blame, guilt, and shame roiled inside her like a cyclone, putting put her on her feet. Levee had been an unwilling eyewitness of what the mangy canines could do to a deer carcass, and in very little time, too. She pressed her fingertips to her closed eyes to block the grisly image, and when she did, the picture of Liam’s lifeless body took its place. A dozen thoughts flitted through her head. Could she have used her medical training to do something to save him? Why hadn’t she seen the gunman take aim before he fired at Liam? If she had, what might she have done to prevent the shooting? Frank and his men had ended three lives in barely more than three minutes, and with three words, he’d dismissed the matter. The howling wind whirled around them, gathering the dust into tiny twisters that hopped across the prairie like jackrabbits. Levee buried her face in her hands, unwilling to let the bandits witness one more moment of her misery. She had the rest of her life for that. Life. She almost laughed at the notion. Sitting in the middle of the Texas prairie, waiting for only the good Lord knew what to kill her, wasn’t her idea of life. An idea dawned: perhaps, if she got them good and angry, they’d shoot her, too, and she could join Liam in paradise. So, Levee began hurling insults and slurs, shrieking like a crazed fishwife, and waving her arms. But she might as well have been a cactus or tumbleweed for all the attention they paid her. Infuriated, she picked up rocks and pebbles and hurled those, too, yet the outlaws continued to ignore her. It seemed they really did intend to leave her out here in the middle of nowhere to wait for starvation and thirst—or hungry coyotes—to kill her. Oh, Father, please let it be coyotes, she prayed. As painful and terrifying as that would be, she’d die faster that way than by nature’s cruel hand. Either way, she’d have ample time to repent of her sins of selfishness. “You’re no better than the coyotes!” But her words disappeared into their cloud of get-away dust and gleeful bellows. Hugging herself, Levee sunk to the dirt between Liam and Mack and sat on her boot heels, rocking and groaning, groaning and rocking, as she waited for the tears to start. But not a single drop fell. Not for her husband or the babies they’d lost, not for the brave young cowboy who died defending her, not even for herself, alone and afraid, somewhere in West Texas. She didn’t know how many hours had passed when the sun began to sink below the horizon like a gold coin disappearing into a slot. A dark chill blanketed the plains, waking snaky shadows that slithered from bush to scrubby shrub. That’s when strange, forlorn moans spilled forth from Levee’s lips, ascended into the blackness, and merged with the midnight cacophony of night birds and bugs and coyote calls. By the time exhaustion rendered her silent, the moon was high in the sky, and she found herself cuddled up to Liam. And, though his lanky body offered no warmth or comfort, that’s where she stayed, praying that before morning, the Almighty in His loving mercy, would call her home, too.